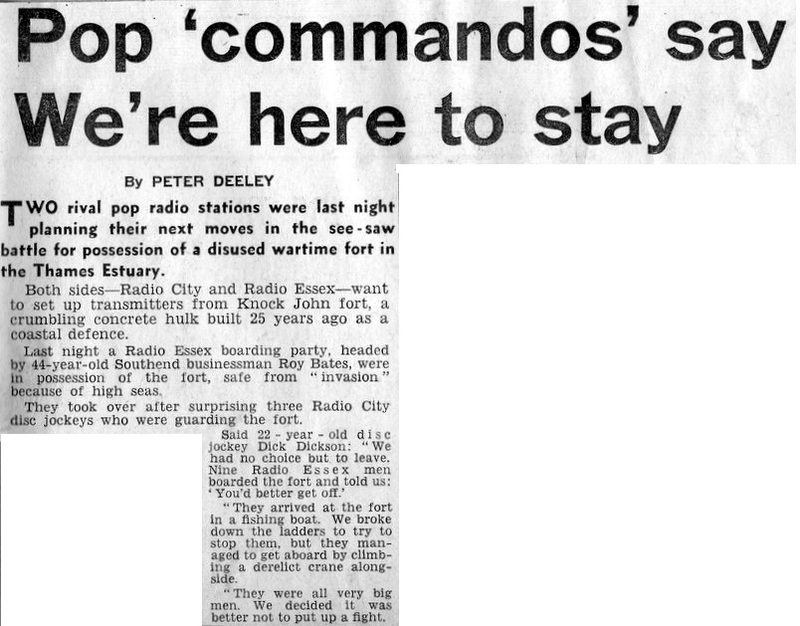 More 1965 cuttings from the collection of correspondent Mike Lewis. 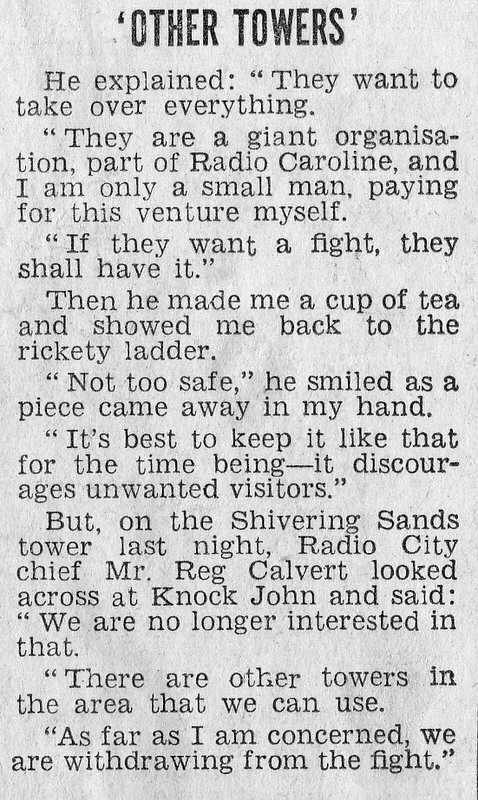 Radios City and Essex are battling for possession of Knock John Fort, The Sun, 11th October 1965. 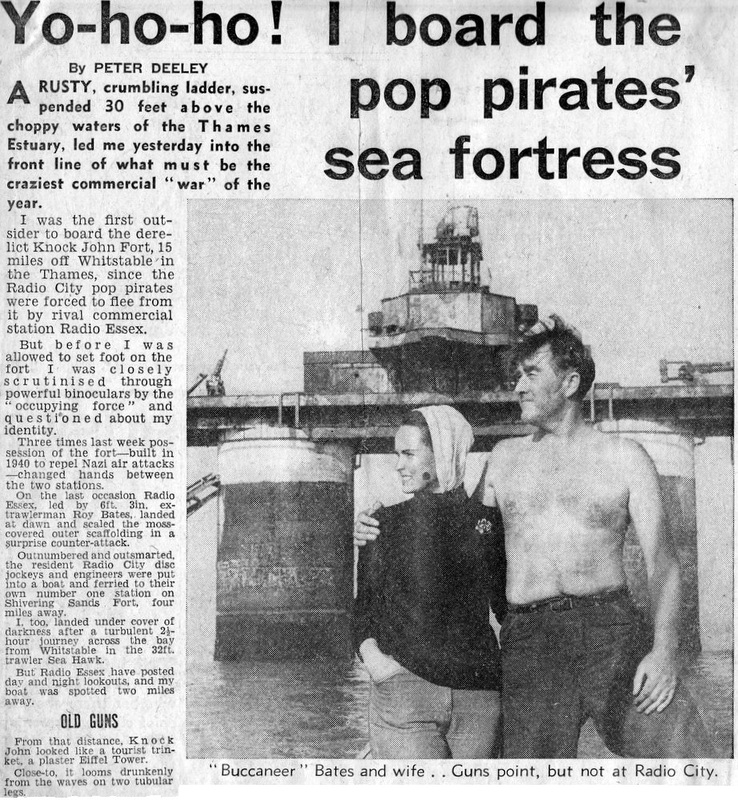 The Sun, 12th October 1965. There is another cutting about this story here. More from Mike's collection over the page.